Direct - IObit Driver Booster PRO version 6.4.0.392 (Repack & Portable) -=TeamOS=- | Team OS : Your Only Destination To Custom OS !! Updating drivers is usually an initial step to avoid hardware failure, system instability, and hidden security vulnerabilities. To update drivers regularly is also an effective way to enhance own overall PC performance, and maximize gaming experience. 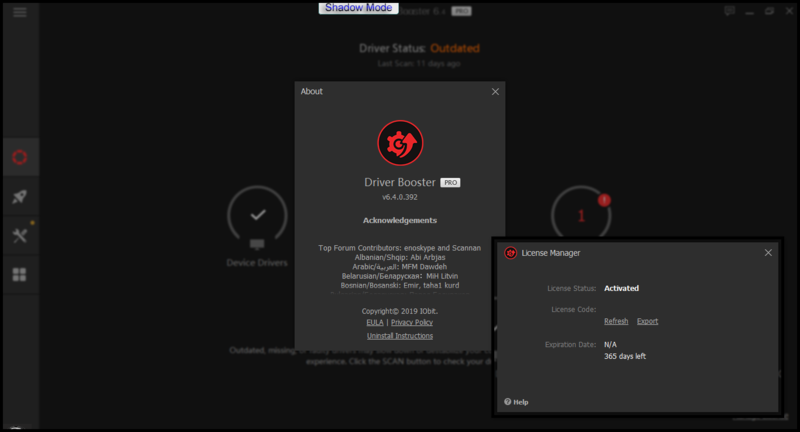 While this process could be risky and frustrating if done manually, Driver Booster PRO is introduced to download and update drivers for the user automatically with just one click. Based on cloud library, Driver Booster PRO can always be the first to identify outdated drivers and download and update driver at an unrivaled speed. With the backup feature, it is an easy, effective and risk-free solution to keep user drivers up-to-date. Driver Booster is a lightweight software application whose purpose is to help a user manage outdated drivers and game components, thus ensuring smooth and issue-free computer runs. 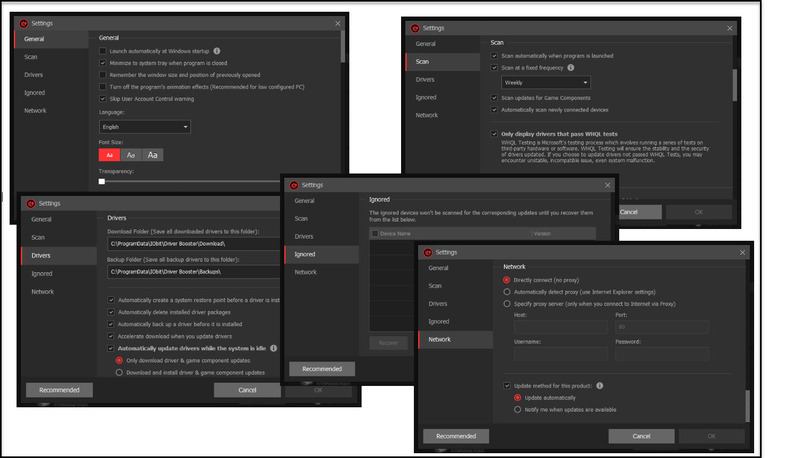 The tool features an automatic scan mode that allows a user to update all drivers and game components to enjoy a stable performance of a system and smooth gaming experience. The tool offers detailed information about device drivers and game components detected on user systems, such as device, type, vendor, driver, provider, and version. Driver Booster can automatically download the necessary updates and install them. What is more, it automatically creates a system restore point, so a user can easily revert the changes in case of errors or other types of malfunctions. Furthermore, user may stop the download process, enable the silent installation mode (the updating takes place in the background and user can continue with his work without receiving notifications and popups), uninstall drivers, as well as enable several post-processing actions, such as restart or reboot the computer at the end of the task. The official webpage does not provide any information about this release. Ads Disabled (Credits to jooseng). thanks very much for sharing the latest updates of usefull app.